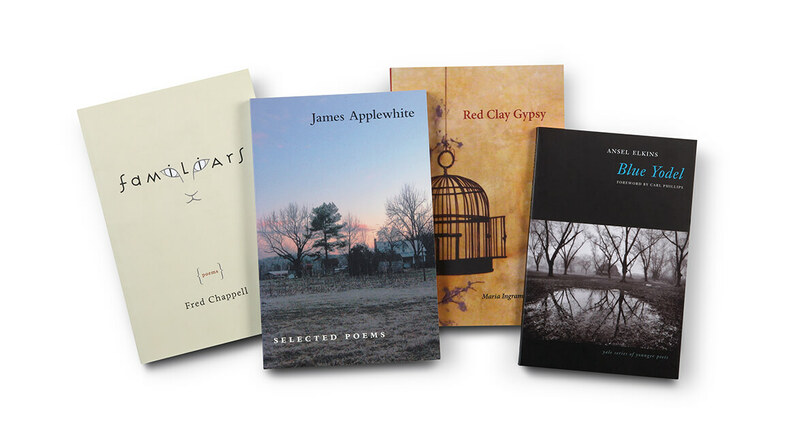 Four North Carolina poets reflect on our Southern landscape and its people, creating an ode to the everyday — a “blazing sensory world,” says James Applewhite — of the history, rhythms, and voices that mark our region. Chappell’s most recent collection focuses on the solitary, graceful cat. His poems follow felines through field and barnyard, across sun-warmed winter floors, from porch to flower bed to “a patch / of sassafras below,” treating each cat — Emilia, Marian, Alexander, and Black Margo, to name a few — as an old friend, and a code to crack. Retired Duke professor Applewhite’s anthology chronicles almost 30 years of his responses to life in the South. “Broom sedge in the wind has curved this bent / Into speech,” he says of the Southern accent. Applewhite’s oeuvre is a journey through a fertile landscape of language and imagination. Kernersville native Braucht’s second collection of poems in almost 40 years contains snapshots of a life lived, of moments preserved in the ebb and flow of Southern temperaments. She conjures up images of a slower time, of people and places only dreamt of in an after-nap haze, when sight, sound, and meaning are temporarily hushed. In her debut collection of poetry, Elkins, a Greensboro resident and 2014 recipient of the Yale Series of Younger Poets prize, weaves a tapestry of heat, light, and loss. She aligns the timelessness of the Old South with that of an antiquated South, revealing the dual constancy of tradition and change in a shifting world. North Carolina has been the muse for many a Southern writer. In her trilogy, Literary Trails of North Carolina, Georgann Eubanks devotes a volume each to our western, central, and eastern regions, and the writers who were inspired by them. Literary Trails are books about books — “literary hors d’oeuvres,” Eubanks says — meant to connect writers’ work and lives to places right down the road. 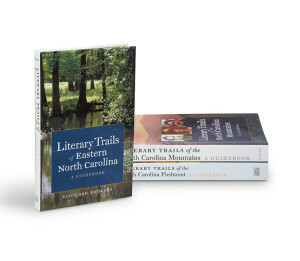 Find the Literary Trails trilogy online at uncpress.unc.edu.